Hello Richard! Since we last saw you, an entire album has come to fruition. What are your personal highlights from ‘Backdrop of Life’? Richard Edwards (Vocals/Guitar/Dulcimer): I wrote nearly all the songs on the album so have to say I love them all! I particularly have high hopes for Backdrop of Life, because I believe in its message. I think ‘Diesel’ is my favourite. It’s a perfect example of that folky influence that is especially relevant at the moment. Which artists are you listening to today and who got you interested in making music? Richard: Growing up I loved the music of Johnny Cash. He certainly influenced me. Tony, who is a bit older than me, says the Beatles were influential for him. Of course, my Dad, Joe George, is a well known singer in Malta so he’s been a big influence too. I certainly like the sound of Ed Sheeran and Mumford and Sons. Other contemporary artists I enjoy are The Lumineers and Hozier. Their music is great. 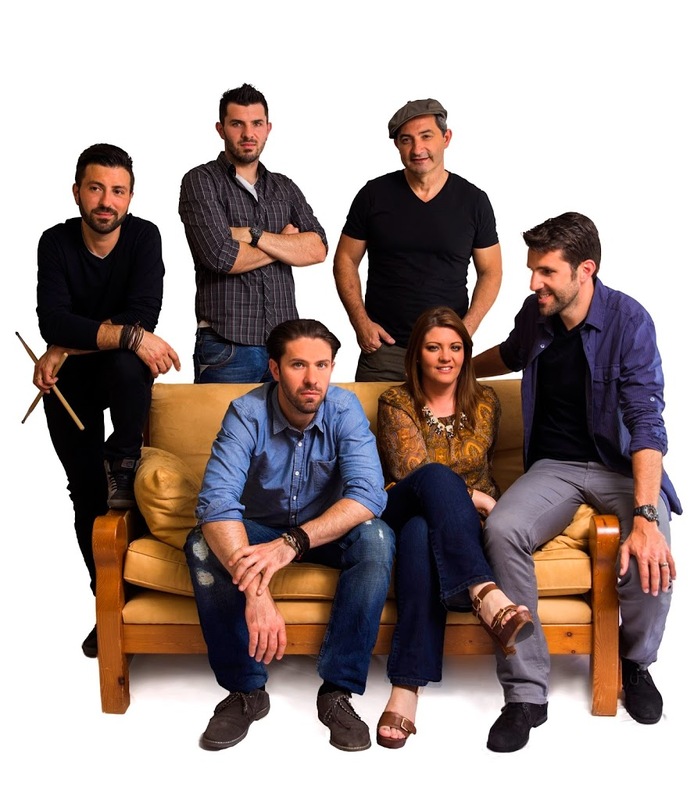 With every member being a talented multi-instrumentalist, Wayne acting as audio engineer and Michelle keeping the male Micallef siblings under control, there is a real independent vibe about Firelight that makes your success all the more inspiring. What has been the highlight of being in Firelight so far? Richard: The highlight for us has to be Eurovision — not just taking part in the final but what happened before and after. In the run up to Eurovision we were promoting ‘Coming Home’ in London, Amsterdam and Moscow. Since Eurovision, we’ve performed in Germany and Austria. We’d love to do more in the UK and the US. Yes to a UK tour! Do you have any plans to tour elsewhere in Europe this year? Richard: Yes indeed. More touring is on the cards for 2015. So, back to Eurovision, what was the experience like for you? Did you make any lasting friendships with the other artists and delegations? Richard: We enjoy the whole experience. We got on particularly well with the musicians from Ireland and even did an impromptu gig with them in a pub in Copenhagen. Not so long ago we shared a stage again with the Eurovision winner, Conchita. She was in Malta as a guest at the final of Malta Eurovision, when Amber won. Will you be cheering Malta on in this year’s edition in Vienna? Richard: We sure will. Amber is great. I’ve known her for a few years. I really like the tone of her voice. She deserves to do well. As the Eurofans will know, Amber didn’t make it through her semi final last night. ‘Outrage!’, I hear you cry, so why not dry your tears with a copy of the Firelight record ‘Backdrop of Life’. Available here on iTunes and on Amazon.